I hope this note finds everyone warm and happy as we move quickly into 2016. First let me introduce myself: My name is Delana, and I will be serving as your Mission in Motion Cycling Team Director, starting in 2016. As we know, Marsha has selflessly given 150% of herself to this team and our Mission for years. We are so grateful for you, Marsha. You are a very true gem and we are lucky to have your guidance. As I think about what Mission in Motion will look like in the future, I realize that it's so important to know what YOU all are interested in pursuing. Are you hoping to race this year? Are you a casual rider, who likes casual group rides more than racing? 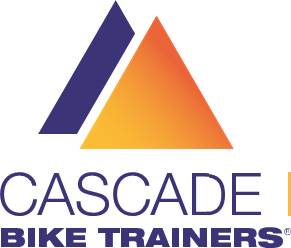 Are you new to cycling and want to learn what our group has to offer? Are you a triathlete or a duathlete? Do you love cyclocross or mountain biking? Do you run, too? Do you like the community of the team but are taking some time away from competiting this year? Are you looking to get back into the action? Do you want to be more involved in leading the team? Are you thinking of taking a break from the team? Have you moved away but still wear the kit and feel the love? What are your plans, goals, and/or interests this year? Knowing your status will help us best plan for team events and make connections based on your interests. Plus, sometimes hearing the enthusiasm of a group can help to spark a fire in an individual, so maybe your goals will motivate a fellow athlete! Please feel free to share your answers publically or privately. I hope that the discussion will spark connections between teammates and potential new teammates. You may simply reply to this note or access the Google Document and give your response, which ever method you prefer. I look forward to having a great year with all of you. This is truly a wonderful group of female athletes, and I'm proud to be a small part of our action. I hope you can each get something meanful out of your association with the Mission in Motion Cycling Team.